Born on the family farm near Ballycastle, County Antrim, Northern Ireland on 6 May 1899, he married Mary Kane (1892-1982) in 1920 and they moved to Belfast where they resided until emigrating to Canada in 1923 with their two-year-old son Alex Jr. They went directly to Transcona to join Mary’s older sister Jane and her husband Sam Simpson, who was working as a boilermaker in the CNR Shops. Alex and Mary had two daughters born to them after coming to Canada, Kathleen in 1924, and Maureen in 1929. After a few years Alex secured a job with the Town of Transcona, and in 1929 he joined the local police force. 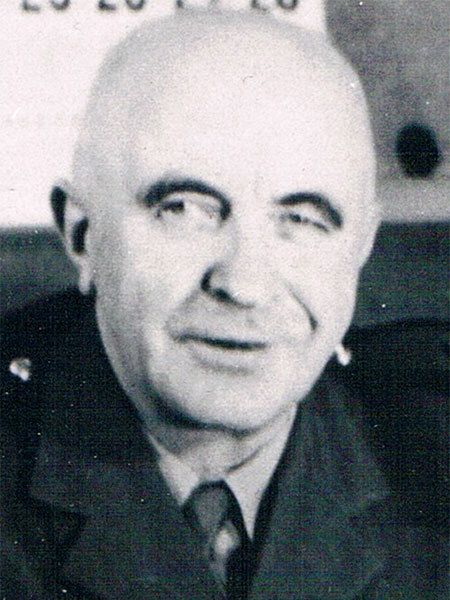 He was the Police and Fire Chief for Transcona from 1945 to 1953, and served as the Justice of the Peace for Transcona until his death on 3 January 1961. He was known for his devotion to the community, and his kindly ways towards those in trouble. He is buried in Transcona Cemetery, alongside Mary. Alex Taylor Drive in the east end of Transcona was named in his honour. Obituary, Winnipeg Free Press, 6 January 1961, page 26.